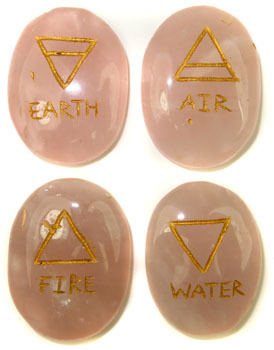 Four Elements set made of Rose Quartz with symbols etched in gold. These oval stones are flat on one side, which makes them easier to lay & stay during your sessions. Roughly 1.5 inches long with slight variations in size and shape. Comes with a velveteen pouch to store them in.